Content marketing has increasingly emphasized its focus upon the customer’s experience of the content and consumers have been seen to seek for more in-depth output material from a brand. That’s why downloadables like ebooks, white papers, and other forms of digital content such as social media posts, blogs, and newsletters serve as the backbone for a brand’s content strategy. Audiences have been increasingly known to consume content in the hopes of being a part of unique and satisfying customer experience – thereby adding to the principal of experiential marketing. Such brands and companies that offer in-person or face-to-face events for consumers are capable of creating interactive spaces of network and creativity for their audiences as well as forge more long-lasting and stronger bonds with them. Such in-person events can also work as a launching pad for fruitful marketing content and sales communications. And as a B2B marketer, the primary aim should be to heighten your brand’s recognition in the market and to eventually produce well-established relationships with your consumers and prospective stakeholders/investors. But, with around 67% of B2B marketers citing to have event marketing as their most effective strategy, many businesses find it difficult to leverage a significant portion of their investments after an event. That’s why we at webMOBI have curated a quick yet effective set of ideas for b2b marketing strategies that can easily be incorporated into a team’s marketing framework. Companies quite often underestimate the frequency at which marketers start planning their events without having a clear set of directions, and how the event would ultimately align with the company’s broader marketing and organizational aims. By setting clear-cut and quantifiable goals (e.g., no. of follow up meetings, no. of attendees expected. etc. ), an organization thus has the capacity to not only measure the success of the work but also are ensured a solid framework to guide their workforce with. While the positive results from meet and greet events have been evident, the new age gamut of technology and digital content can also help optimize your event expenditures. Apart from the major advantage of easy and brilliant brand communication, going digital can help channel your communication and marketing strategies more cost-effectively and on a wider scale. Other functions such as event promotion, pre-event registrations, and post-event ROI tracking can all be conducted efficiently if marketers invest in the right kind of tech. It is critical to have a comprehensive digital framework that covers all communications before, during and after every event. 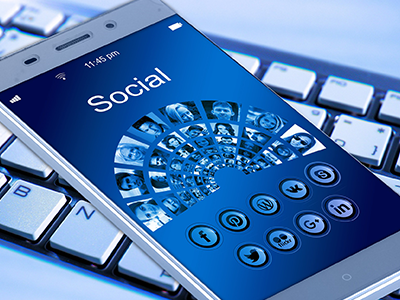 Social media is one tool that can be easily used to learn more about and connect with your audiences. Using clever hashtags and uploading interesting audio-visual posts on Instagram can attract audiences to your brand/event, far beyond the actual date of the event itself. Marketers can get more innovative by concentrating on smaller and more targetted groups, with more relevant content. Carefully directed marketing strategies and “micro tags” can be applied based on an intricate knowledge of the target market’s demographics in order to appeal to each persona within the audience. Such targetted tags can help address a wide range of unique points and needs, and further improve engagement rates. More often than so, the fundamentals of marketing are embodied by the need for a human element and depth in content. Consumers are always looking for a memorable experience – which is something that can ultimately catapult a brand into obtaining greater market share and dominance. The future of content marketing is heading in the direction of offering consumers with a tangible experience that can help them engage with the brand’s current services, products, and image. In-person events within the sphere of experiential marketing offer audiences the chance to interact and engage with authentic services. For b2b marketers, it is necessary to think about enhancing customer experience and adding real value to the content produced and distributed. Innovative ways of promoting good content include digital posts via social media, blog posts, and articles – content that can easily be marketed across all platforms. Additional types of materials that can be generated can include interesting interviews, infographics and audio/visual content. When a business conducts a webinar, they help audiences gain information on new trends and issues of interest in the industry. With the right kind of tech and presenters/hosts, webinars can facilitate consumer interaction and engagement. Marketers need to make sure that these webinars don’t trail for too long, but just for the amount of time, it takes to the get a message out effectively to an audience. 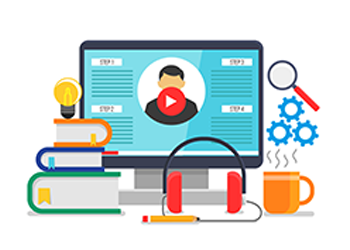 B2B Marketers should also keep in mind that participants and consumers incapable of attending the webinar should be able to access a recording of the event. Webinar attendees are also more likely to respond to a brand’s promotions and engage in authentic experiences.